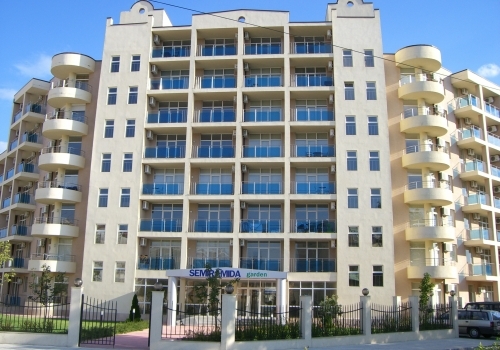 ‘Semiramida Gardens’ Apartment Complex-Sunny Beach is located at a walking distance of 3 minutes from the ideal center of Sunny Beach, 250 meters from the beach, near the polyclinic. The complex consists of two residential blocks,one of 5 floors andthe other of 8 floors, with a total built-up area of 11 387,40sq.m.In the area of the complex, there are two outdoor swimming pools, an outdoor bar and a guarded parking lot. The complex consists of 123 luxury apartments,fully completed (‘keys-in-hands’), with dimensions from 55 sq.m.to 147 sq.m.Eachapartment is completely air-conditioned with a fully equipped bathroom withshower enclosure, bidet, boiler, monoblock, accessories and mirrors.For the convenience of occupants, the complex has24-hour security and year-round maintenance of the swimming pools, public areas, grass areas, alleys, parking lots, recreation areasand external communications. 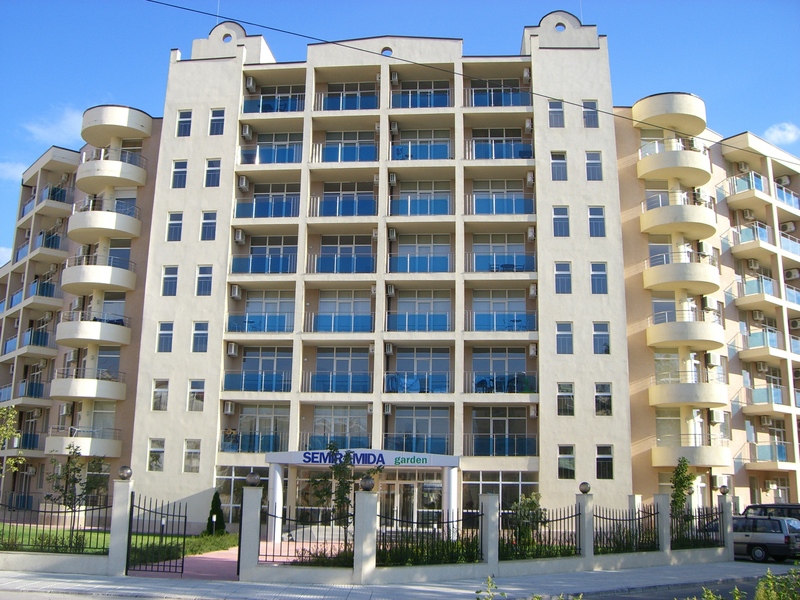 The residential complex is designed and constructed of solid reinforced-concretebeamlessstructure. The exterior and partition walls are made of bricks. The roofs are flat, with double waterproofing. The buildingis externally and internally heat insulated, which provides comfort of living, integrity and durability of the structure. The finishing works include floorings, linings, railings and window frames of the highest quality.